Plenty of room for tall guys! 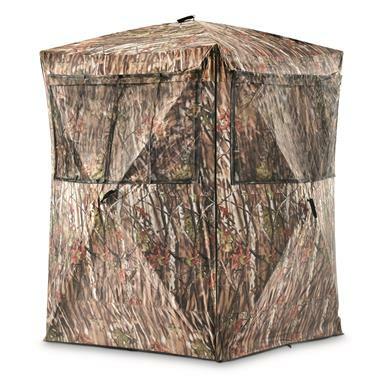 Taller hunters, rejoice! 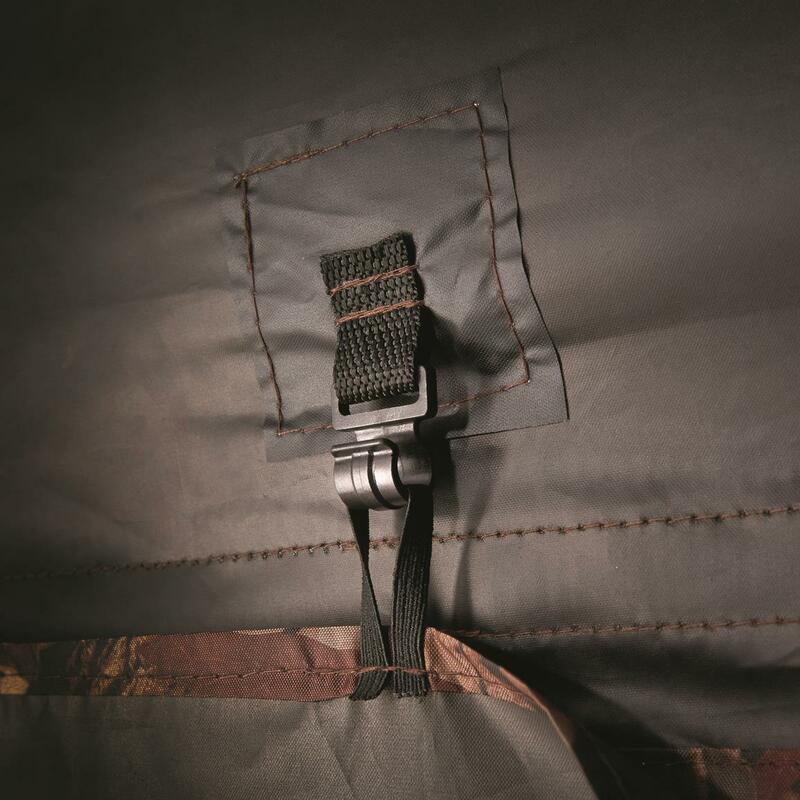 The Guide Gear Oversized Ground Blind was designed with you in mind. 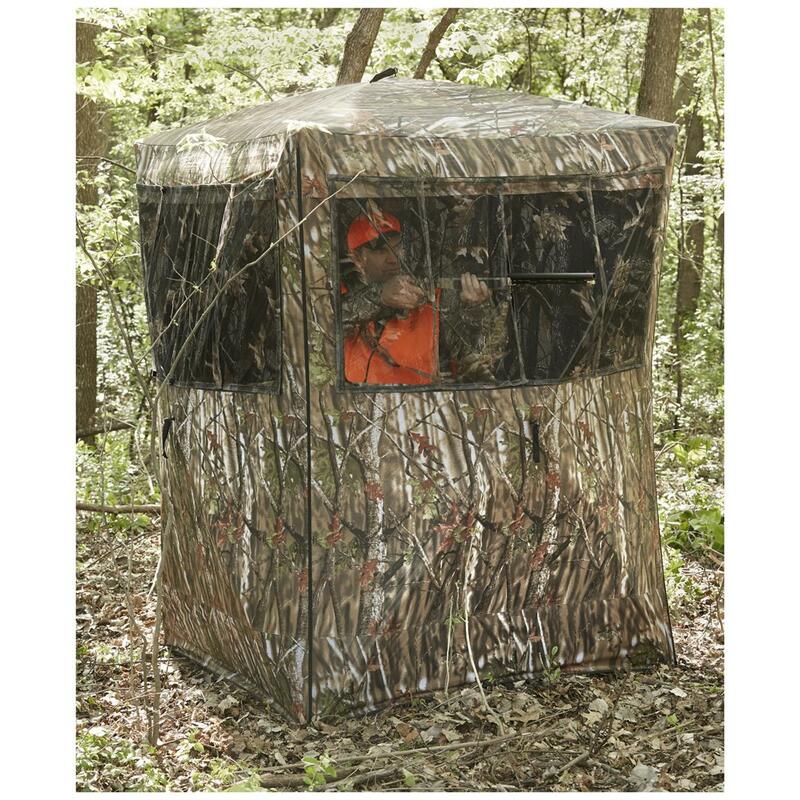 With an 84" center height, it comfortably accommodates the tallest of hunters and is ideal for stand-up shooting. 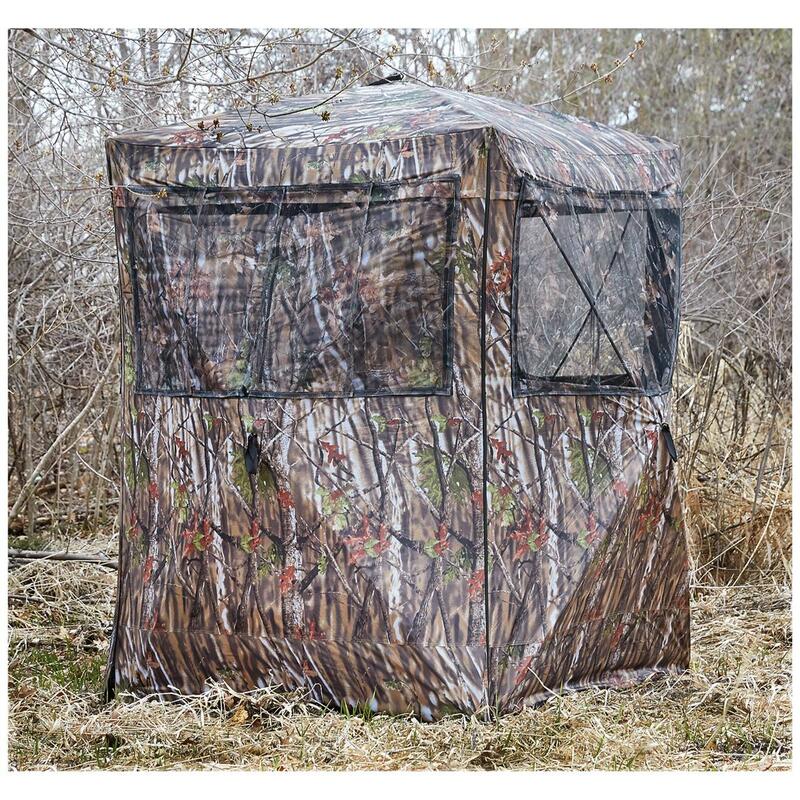 Plus, it features a full-panel, slip-up door for easy entry/exit and handicap accessibility. 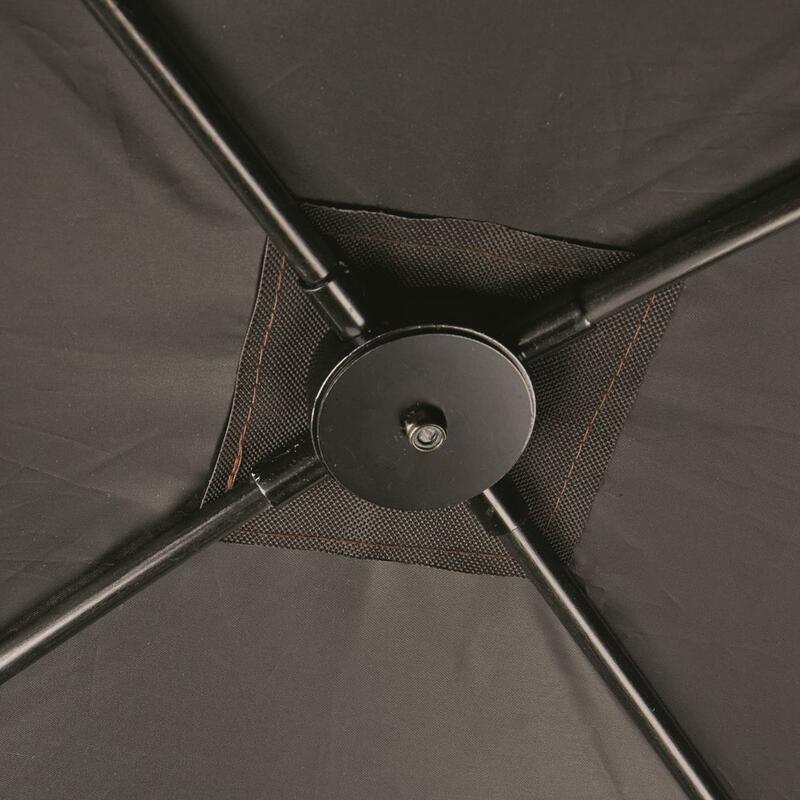 Set up is fast and easy, thanks to pop-up design. And once deployed, this Blind stands strong thanks to reinforced hubs with thicker rods and heavy-duty rod pockets. 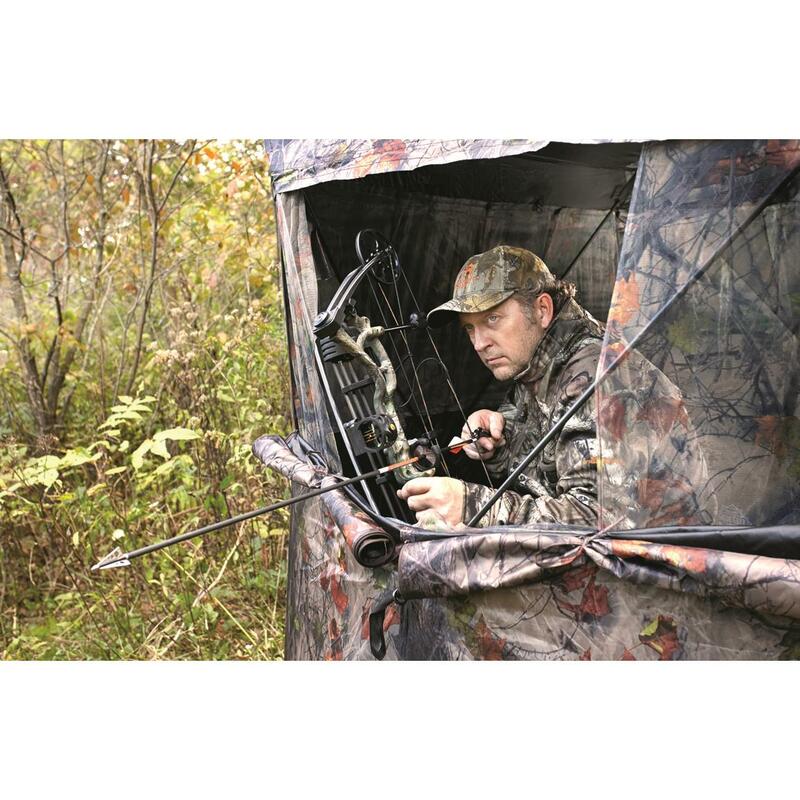 Large, shoot-through mesh windows on 3 sides offer plenty of viewing options and shooting lanes. And the best part? The price. We think it’s one of the best values in the field, and we’re sure you’ll agree. 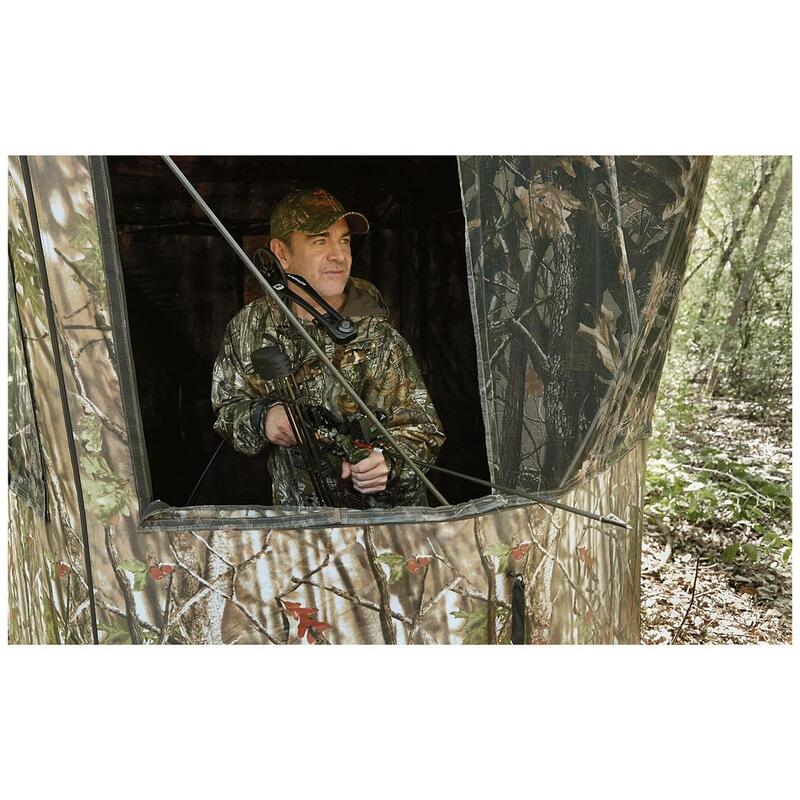 Guide Gear gives you the features and dependability you need to achieve success, all at an unbeatable price. 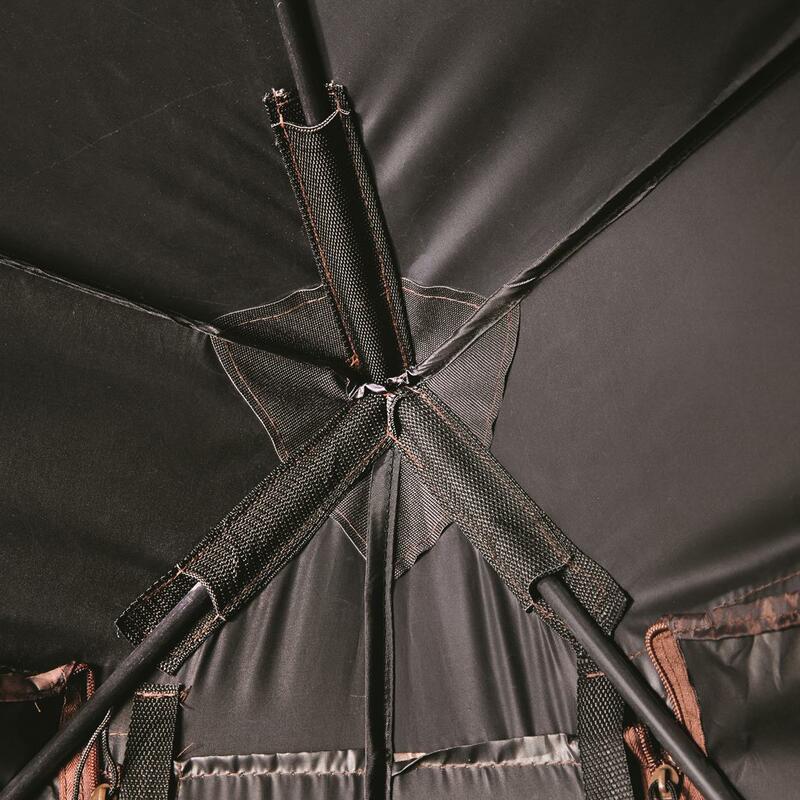 Less set-up time means more time hunting, that's why we designed our Guide Gear Oversized Ground Blind to unfold and set up with the flick of a wrist. Fast. Easy. Effective. 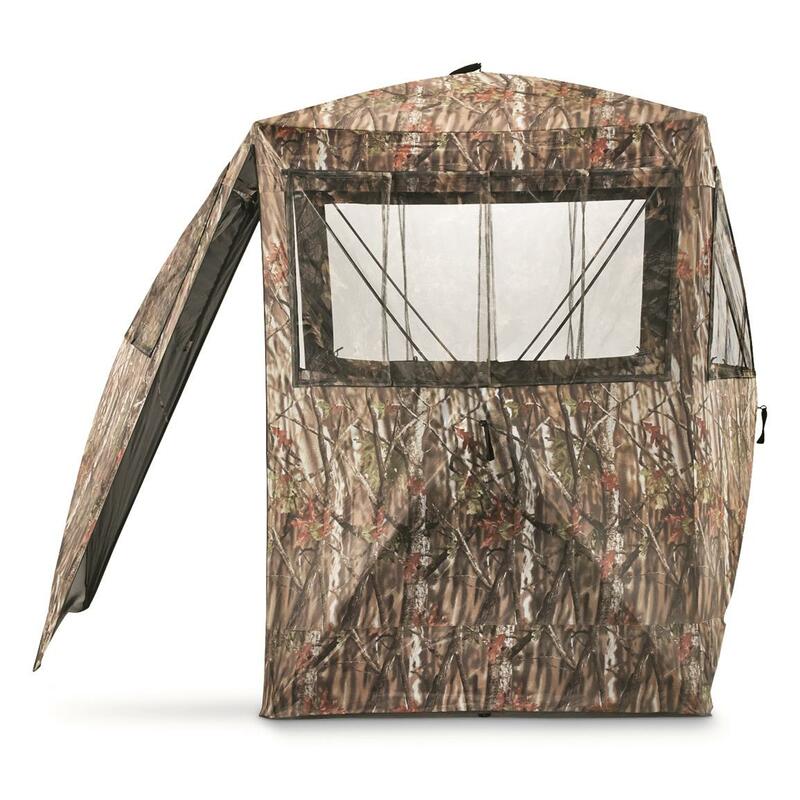 And, we took it a step further by adding a full-panel, flip-up door that makes it effortless to load in your gear and haul it out at the end of the day. 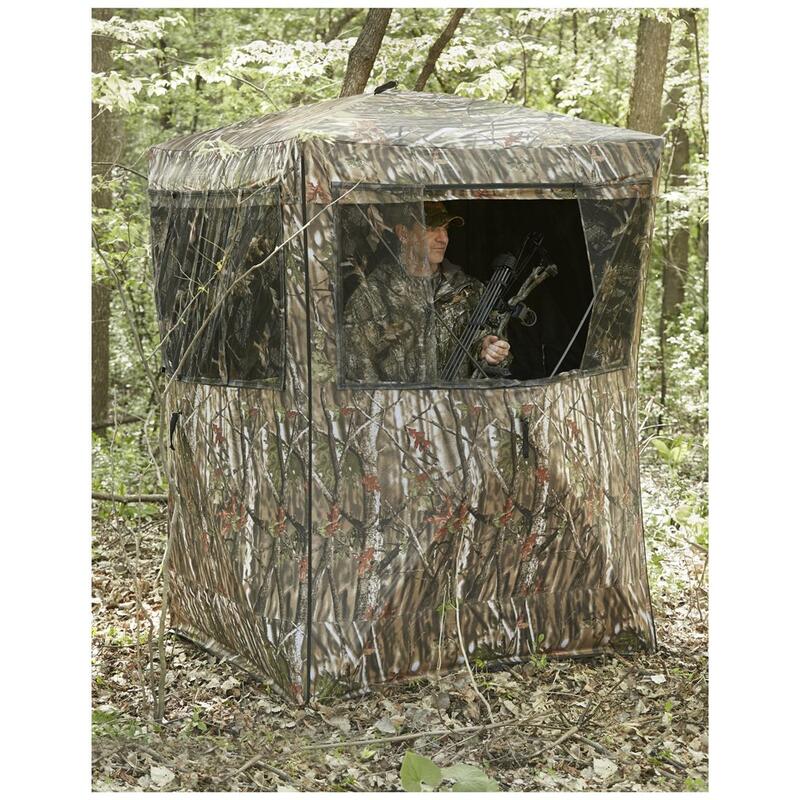 Plus, the flip-up door makes this Blind handicap accessible and ideal for taller hunters and those with mobility challenges. 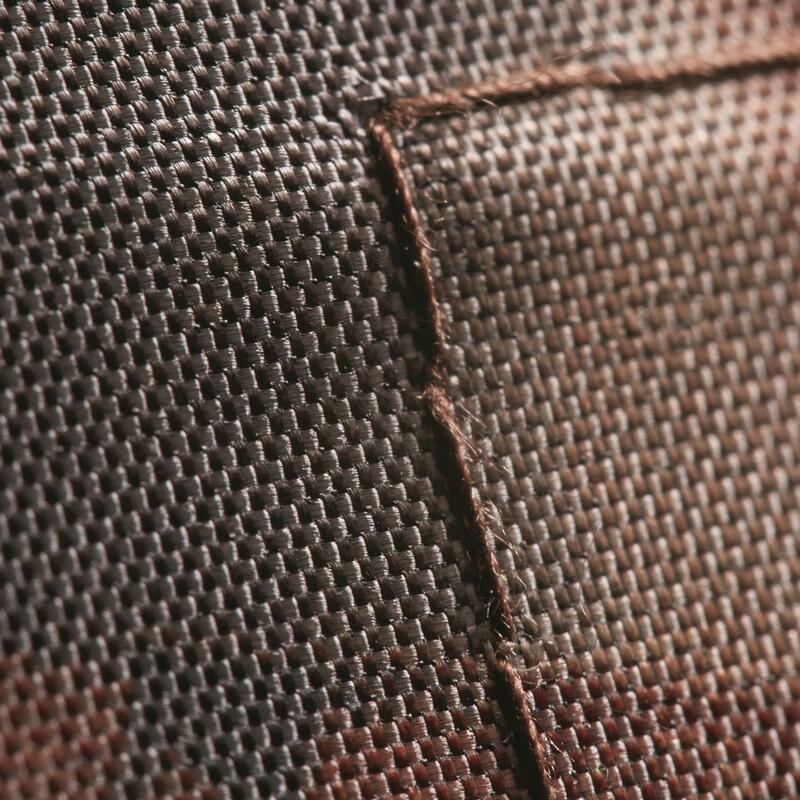 No zipper to fumble with, no need to crouch down and navigate a small opening. 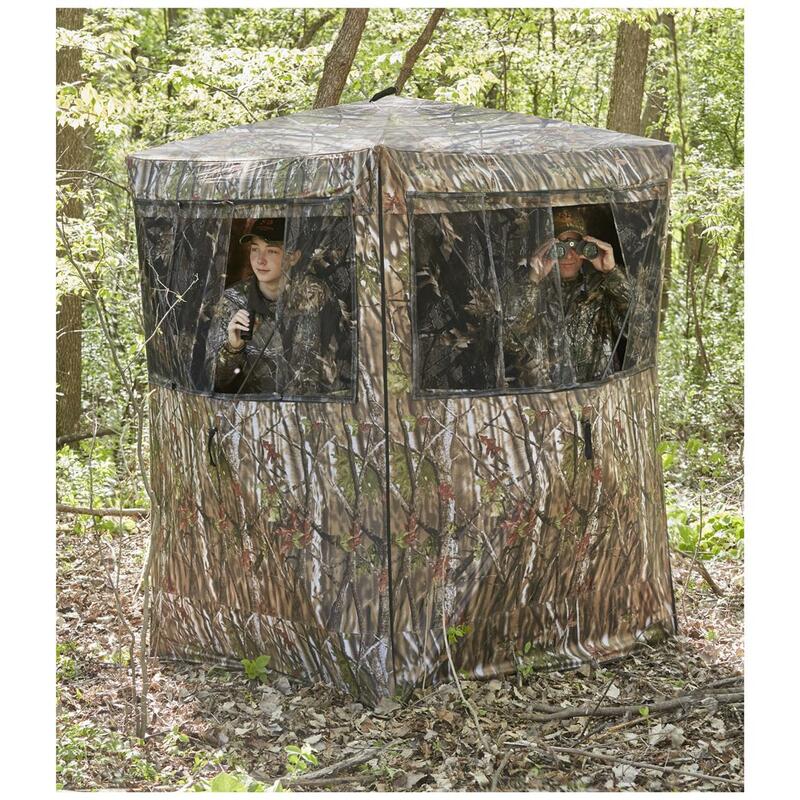 Just flip up the panel and walk in. 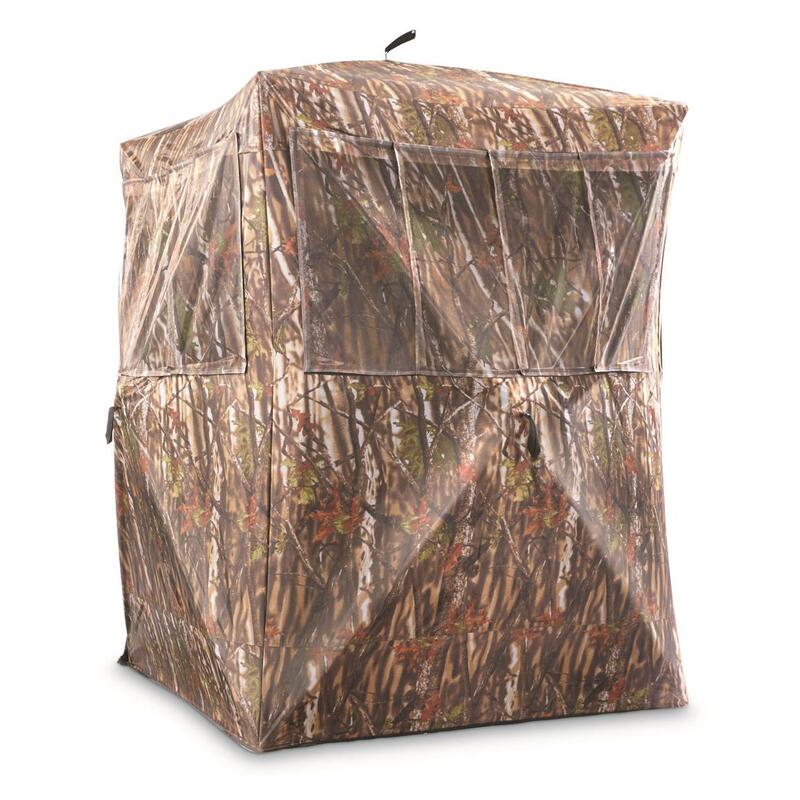 There's no doubt about it… hunting is more fun when you succeed, so our Oversized Ground Blind is loaded with smart features that help tilt the odds in your favor. 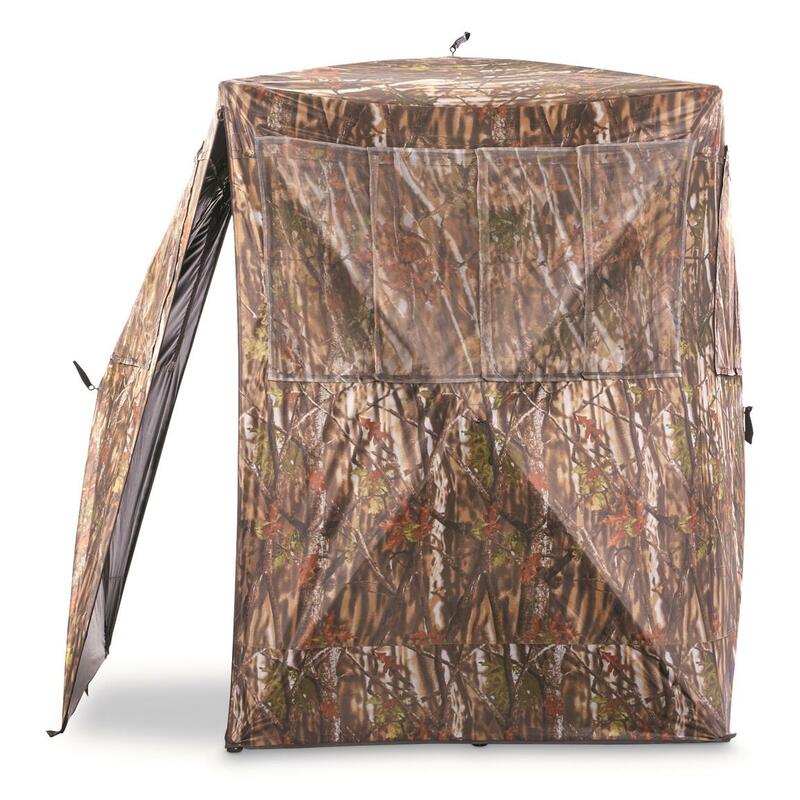 The shell is made of durable, weather-resistant, scent-controlling 150-denier polyester supported by a heavy-duty frame with thicker poles, stronger hubs and heavy-duty hub rod pockets that hold true, even in high winds. 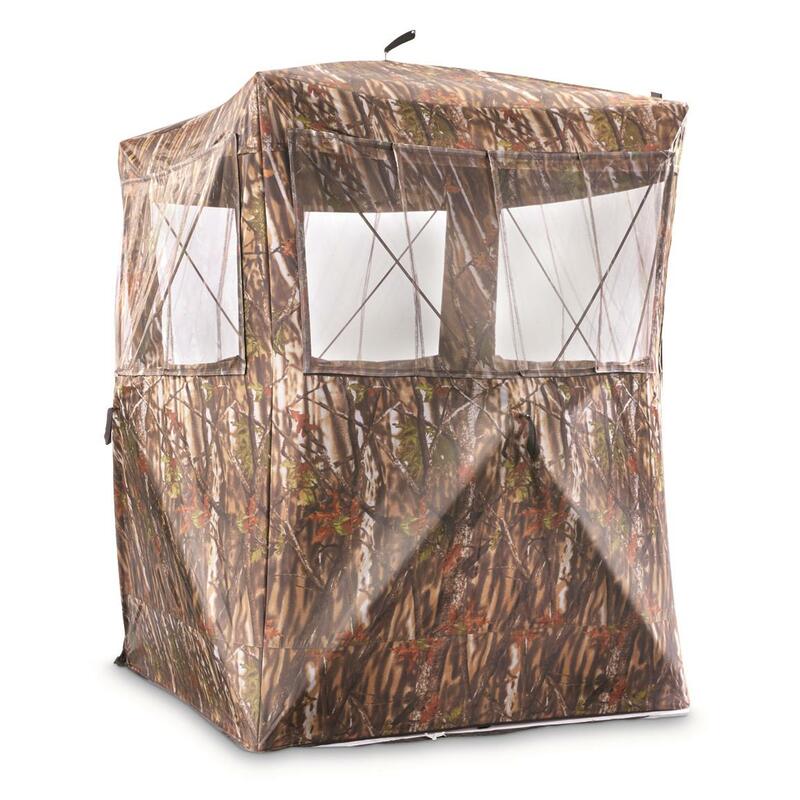 Three large windows with silent attachment clips provide a 360° view, and each includes replaceable, shoot-through mesh screens. And, a fully blacked-out interior prevents shadows from spooking game. 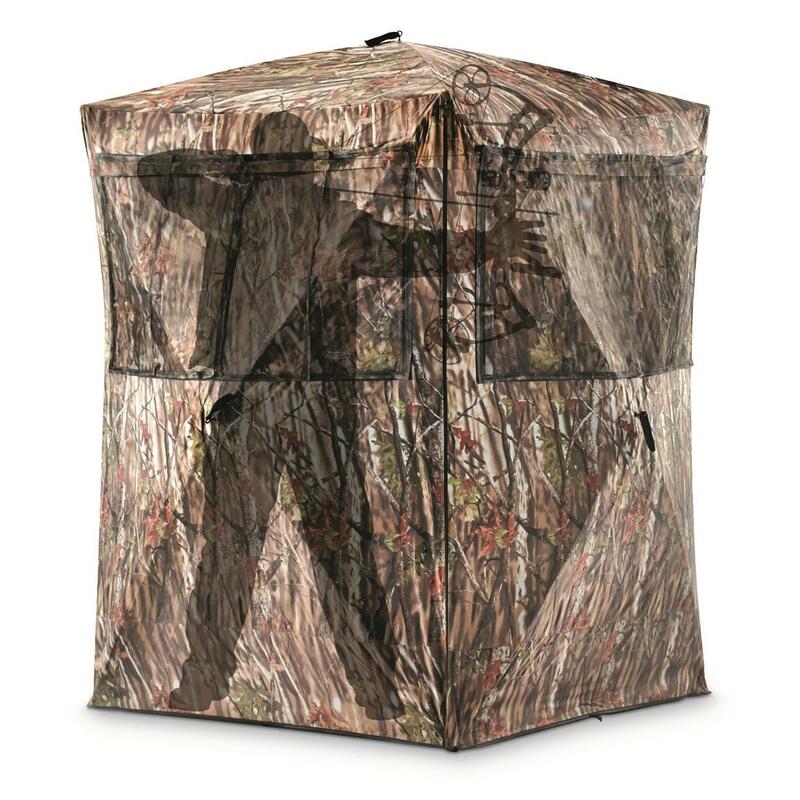 Order now to make this Ground Blind your hunting command center!